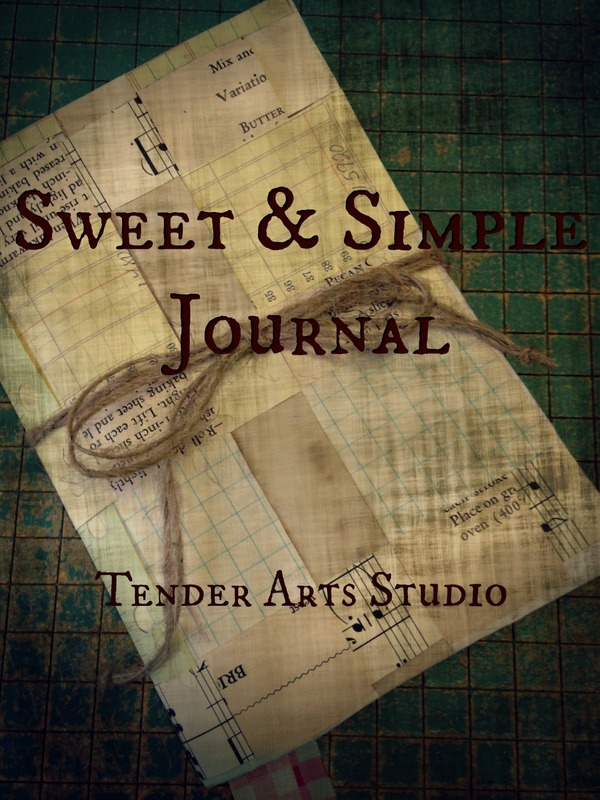 I am so in love with this sweet little journal! 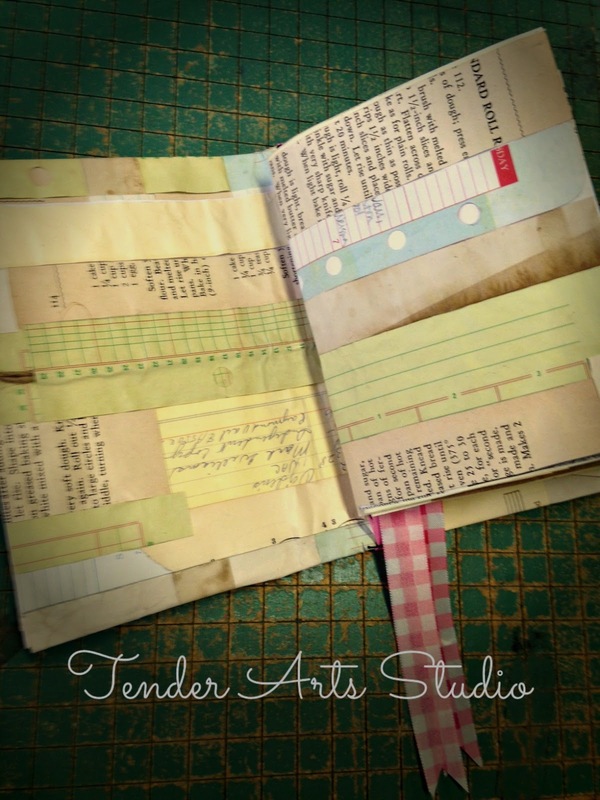 I was completely inspired by a member of Vintage Junk Journals who made her "Plain & Simple" journal for a challenge. 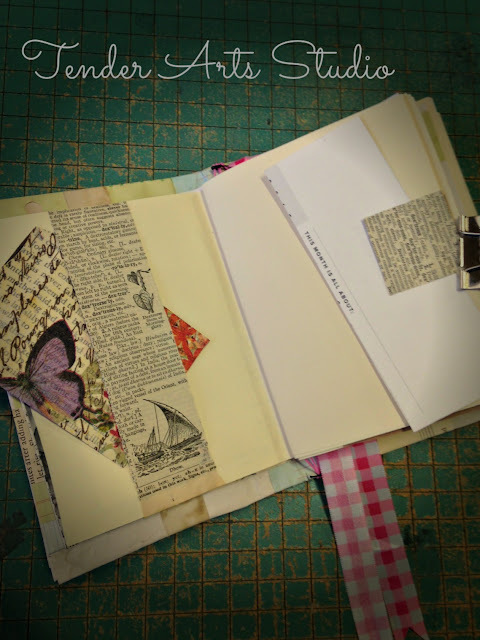 This little cutie is just made from paper scraps that I had on hand plus this cream paper that I totally heart. It's fairly heavy and Debbie-Ann's digis all look gorgeous printed on it! About a month or so ago I was puzzling over all of my paper strips that are leftover after making a junk journal. I decided to just glue them to a piece of copy paper in stripes. That pleased me so I then went old school (literally! remember making woven placemats in elementary school?) and wove some of the strips together. 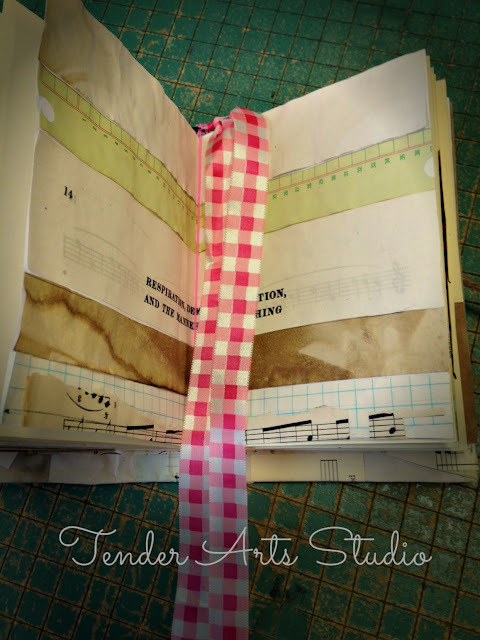 That sheet became the cover for this tiny album. The actual substrate for this book is a 6"x9" envelope which you can see the flap off in the photo below. I had such fun adding my tuck spots and pockets using only the scraps I had on hand. 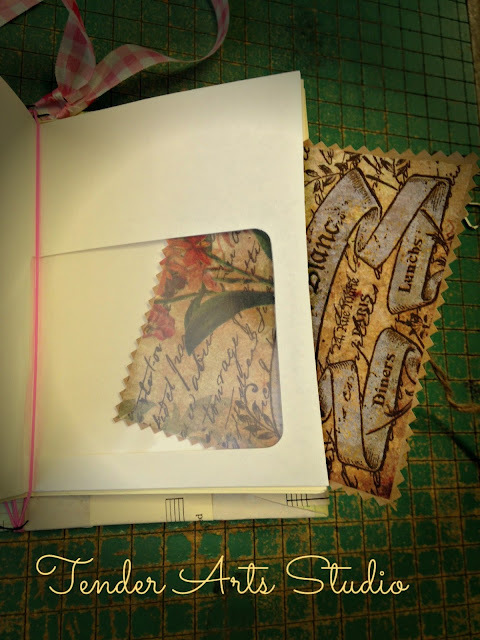 Even the colorful bits like the card above were made by using Mod Podge to adhere a pretty paper napkin scrap to scrap papers already in my stash. What I really like about this journal is it's small size and the fact that it is made with, essentially, garbage! I've always been crazy about making something out of nothing and this really fits the bill. So, thank you, Elizabeth, for the inspiration! There is a video flip through on YouTube HERE. Speaking of inspiration- The "Imagine" journal above and the tall brown journal have not been photographed, but I hope to get to it soon. They are both gifts and I want to make a record of them before they are gone! 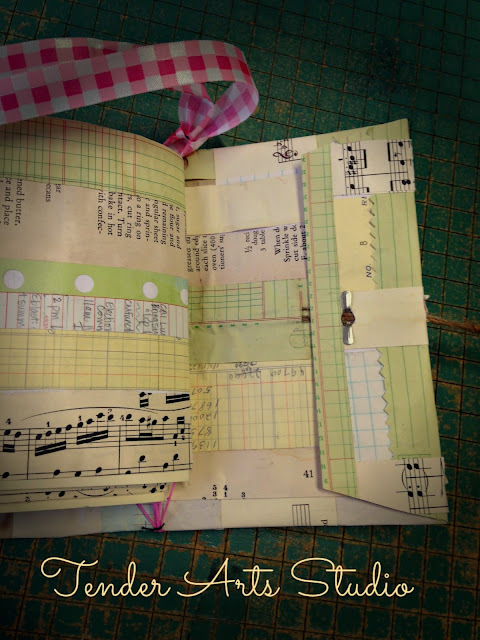 I just love your journals - so creative. Thanks, Hope! They are so much fun to make. I love your name!